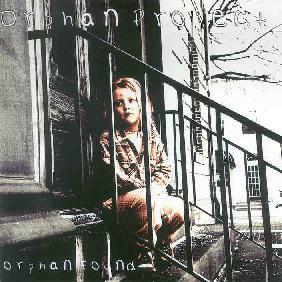 Orphan Project - "Orphan Found"
The Orphan Project is a commercial progressive rock project by Shane Lankford (vocals and lyrics) and John Wenger (music and arrangement). They are backed by some very skillful musicians on drums, bass, cellos, violins and guitars. The songs and lyrics combine many elements of progressive rock from Kansas and Styx to the heavier Dream Theater. The more melodic side of the music is highly reminiscent of Marillion (90’s). The production is sterling and the performances nearly flawless. I could go on to describe the songs but if you like what I have said so far, then this is a must hear record. The lyrics are included in the CD and some are quite intense and very thoughtful. For more information you can visit the Orphan Project web site at: http://www.orphanfound.com.